The TRIPS! We traveled more this year than we ever have in our lives. One of our 2018 New Year’s Resolutions was to travel more and we are endlessly grateful we got the opportunity to do so this year. We went to Atlanta for Americasmart and stayed at Brian Patrick Flynn’s gorgeous cabin. We went on our first cruise together with Celebrity Cruises and visited San Juan, St. Maarten, and Saint Kitts. We flew to Columbus, OH for speak and present at our first ever home show event and had a blast. 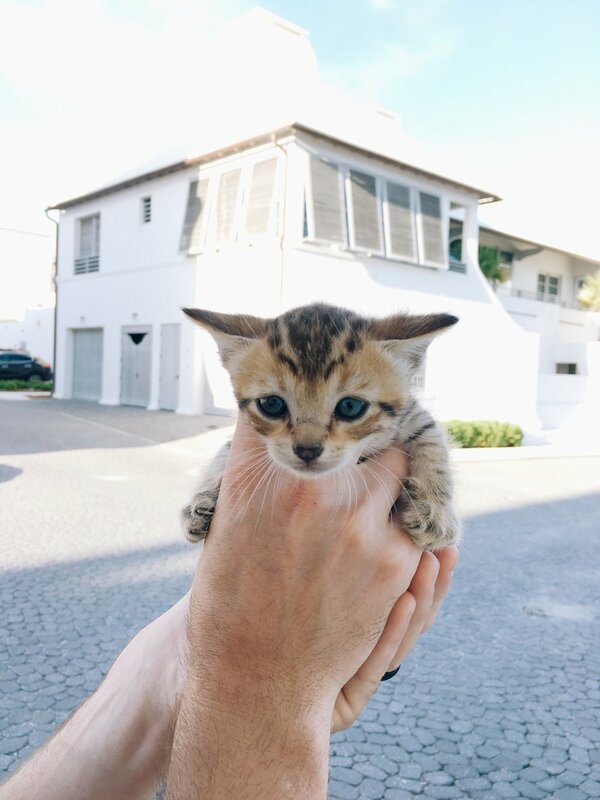 We celebrated PJ’s birthday in Alys Beach, our favorite beach, and found the newest member of our family: Alyster! 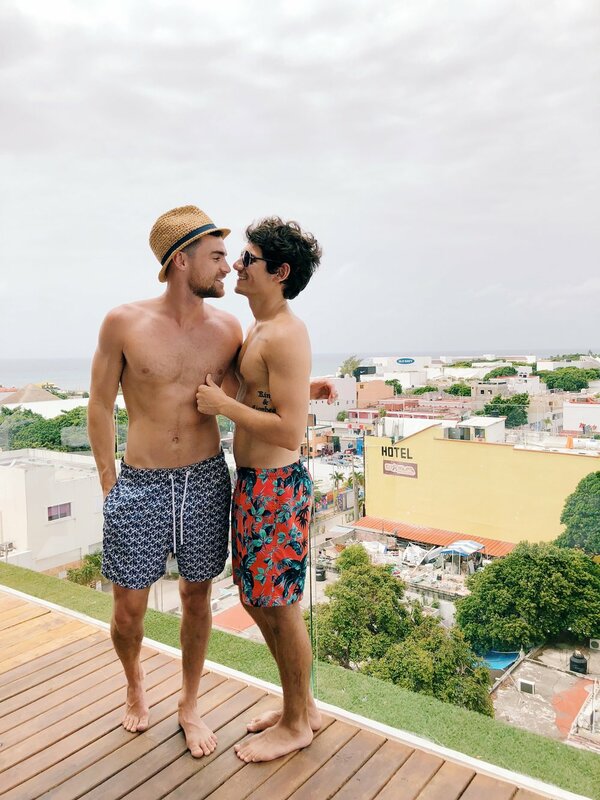 We went on our second cruise of the year with Celebrity Cruises and visited Bermuda, where we fell in love with the beaches with the pink sand and got to hang out with Adam Rippon and his boyfriend JP for a night. After that, we went to San Francisco, which was our first time in California together. 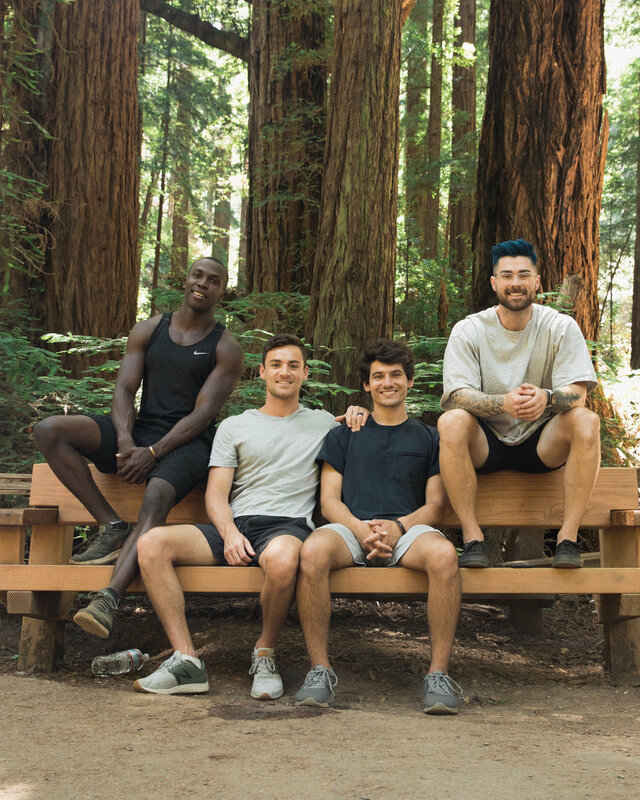 We went to our first major Pride parade and stayed with our new friends Kyle Krieger and Titus Fauntleroy. A few weeks after that, we were in Mexico with our best friends for a few days, soaking in all of the culture and delicious food. After that was Marfa, TX, our first time in the Lonestar state. What a beautiful, wonderful trip, where we made new friends that we still keep in touch with. We then traveled to the Dominican Republic to celebrate Pride in Punta Cana, which was such a fun and crazy experience that we will never forget. 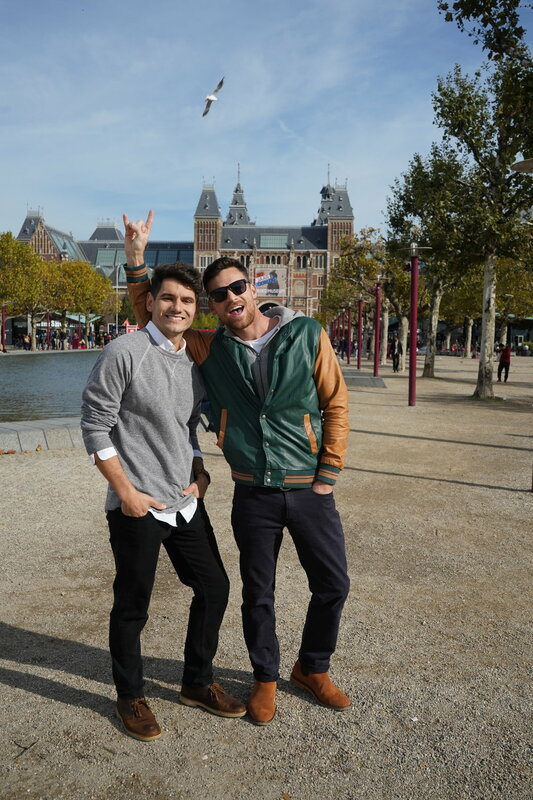 Then, a last minute trip to Amsterdam took our breaths away. 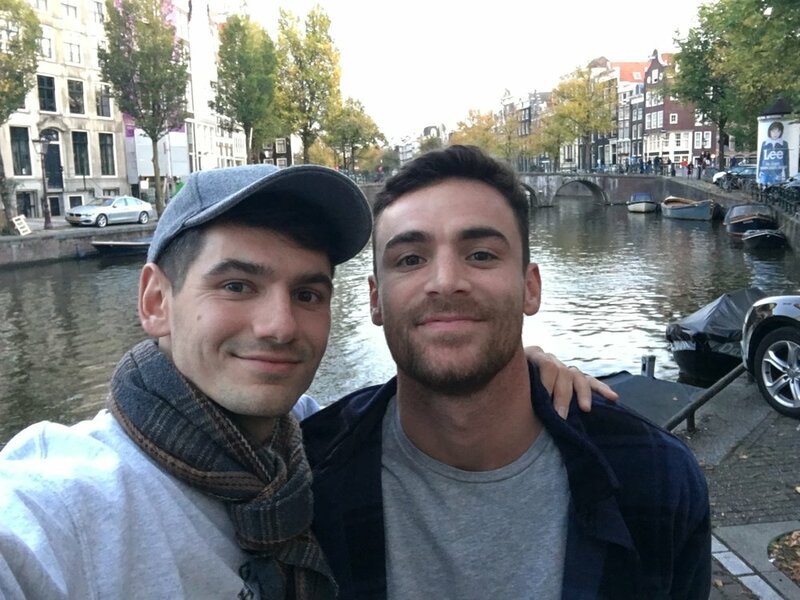 By far our favorite place we visited this year, Amsterdam stole our hearts in every way possible. We were home for about a month until we went on our last trip of 2018 and our third (!) cruise with Celebrity Cruises to help them celebrate their new ship The Edge, where we met Nate Berkus (!!) and saw Malala speak, and Andra Day perform. To say we traveled a lot this year would be an understatement, but what we can’t say enough is how thankful and grateful we were this year for the chance to travel and experience these new places together. 2019, you have a lot of living up to do! The BLOG! We feel like we really found our voice this year in our blog and what we wanted to write about and share. We discussed how people surprise you, our third wedding anniversary, and a small tradition we do every fall. The posts you seemed to like the most, though, were our posts on marriage, like sharing a last name, using the word “partner” over husband, sharing a bank account and sharing clothes, whether or not you show affection in public, on going to bed angry, and the magical thing that happens when the sparks wear off. Thomas shared a couple of relationship posts from his point of view, like this one and this one, and we shared more recipes this year as well. Though it wasn’t on OUR blog, a dream came true for us this year when our house was featured on Design*Sponge, one of our favorite interior design websites. We have many more topics planned in 2019 to talk about here on the blog, and we can’t wait to share them with you. Our favorite part of the blog this year, though, was learning about you and your stories with our Feature Friday series every Friday! You shared your ups and downs and your struggles and triumphs, your coming out stories and how you dealt with it. You inspired us more than you will ever know this year, and we can’t wait to learn even more of you in 2019. Our YOUTUBE! 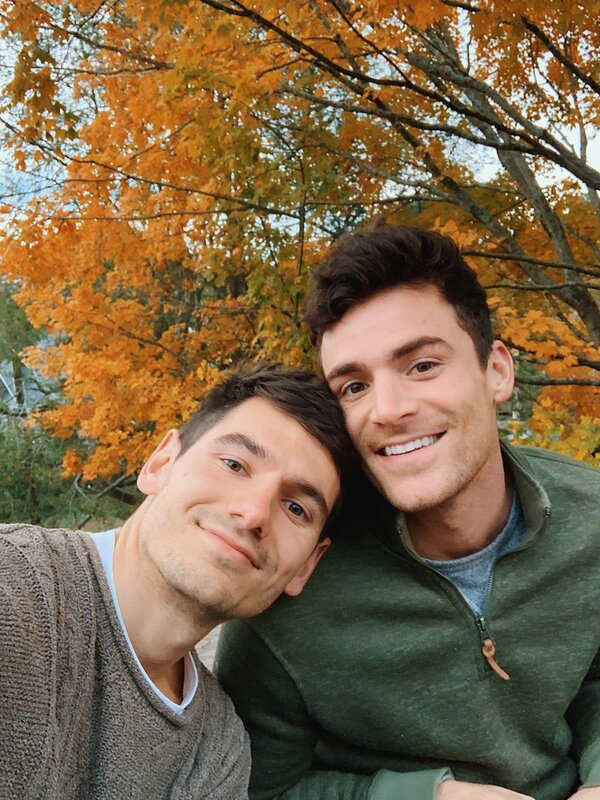 We kind of stepped back from making YouTube videos this year to be honest, but we still posted videos like our weekend getaway to Atlanta, Thomas’ birthday weekend and Thomas’ video to PJ for his birthday, PJ’s video for Thomas’ Valentine’s Day surprise, and our reaction to the groundbreaking Love, Simon. We also shared our morning routine, and a couple of our traveling videos. You followed along as PJ got botox and Thomas got a tattoo, as well as when we fixed up our rental house to get it ready to sell. We even posted a couple of design videos, like this one and this one. The last couple of weeks have been so much fun, though, going live almost every night with y’all! It feels like we’ve built a small community where we all talk to each other about what’s going on in our lives and what we’re going through. We love being able to talk to y’all and learn more about what’s going on in your lives. It’s been such a fun experience and we can’t wait to continue it in 2019. This year has been such an unforgettable, crazy fun ride, and we can’t believe it’s over. We can’t wait to see what 2019 brings for not only us, but for y’all as well. It’s been such an exciting adventure hasn’t it? We’ll look back on this year down the road and remember how much fun we had, and most likely not remember the arguments and disagreements we had, too, because nobody is perfect and we hope we never give you the impression that we are. Thank you, from the bottom of our hearts, for being here with us this year. You mean more to us than you’ll ever know, and we’ll see you in 2019!